Dallas Companion Animal Project’s Pets for Life (PFL) program provides free veterinary care, services and information to people and their pets in communities with limited or nonexistent access to pet wellness resources. This groundbreaking approach opens doors and builds relationships in underserved communities through strategic, positive community engagement. We are dedicated to bridging the gap between animal service providers and people and pets living in poverty. The program philosophy promotes the understanding that a lack of financial means does not equate to a lack of love felt for and provided to a pet. Everyone’s lives can be enhanced by a pet, and those who choose to should have the opportunity to experience the unconditional love and meaningful relationship a pet brings. 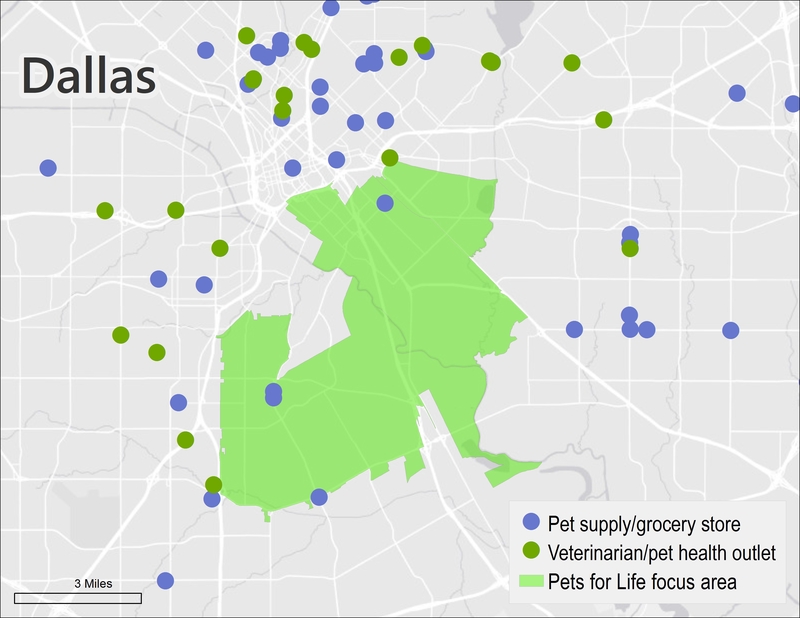 Currently in Dallas, PFL focuses specifically on the 75210, 75215, and 75216 zip codes, which is a pet resource desert. By providing residents with consistent access to spay/neuter, basic pet wellness care, supplies and information for their pets, we are addressing the critical lack of accessible, affordable pet care in keeping pets healthy and happy in the homes they already have.